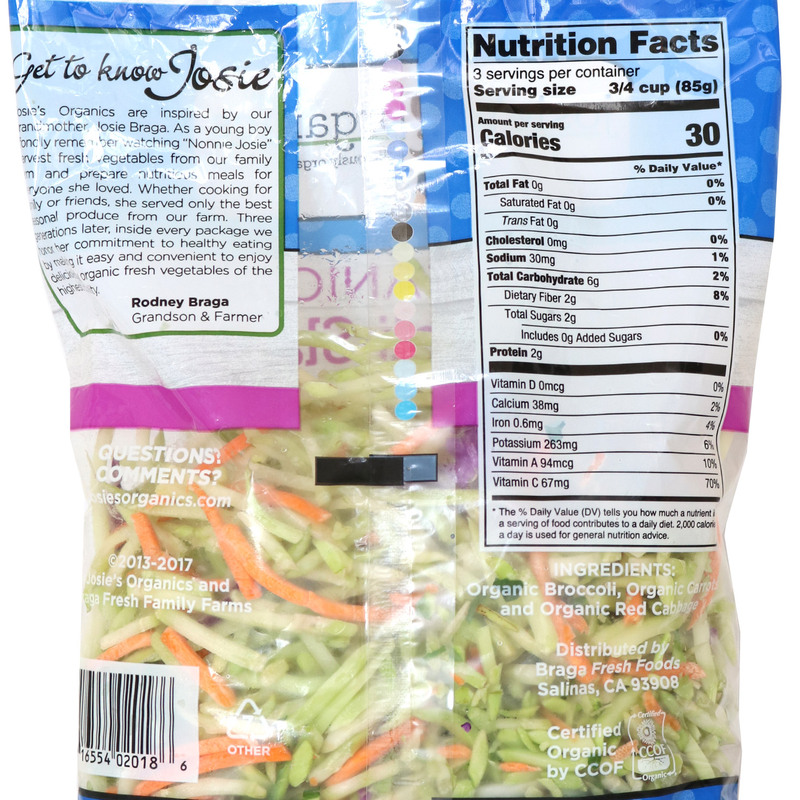 This Broccoli Slaw is a yummy mix of julienne-cut broccoli stalks, julienne-cut carrots, and red cabbage. Washed and ready to enjoy, this Broccoli Slaw will take all the prep work out of your family’s favorite recipe! 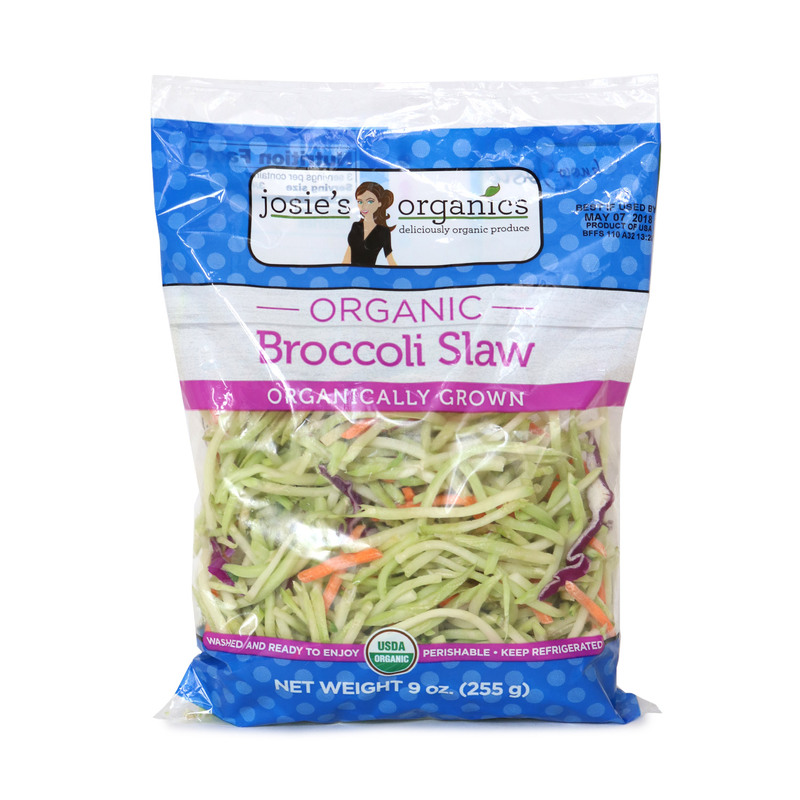 Mix it with a broccoli slaw dressing recipe and add some raisins, sauté in a pan to lay under cooked salmon, or place it in a tortilla with lunch meat for options your family can’t get enough of. Organic broccoli, organic carrots, organic red cabbage.